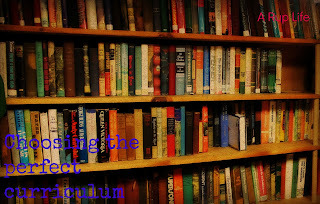 A RUP LIFE: Choosing The Perfect Curriculum! I know there are many people that haven't finalized their curriculum choices for the upcoming school year. I'm hear to help you out! 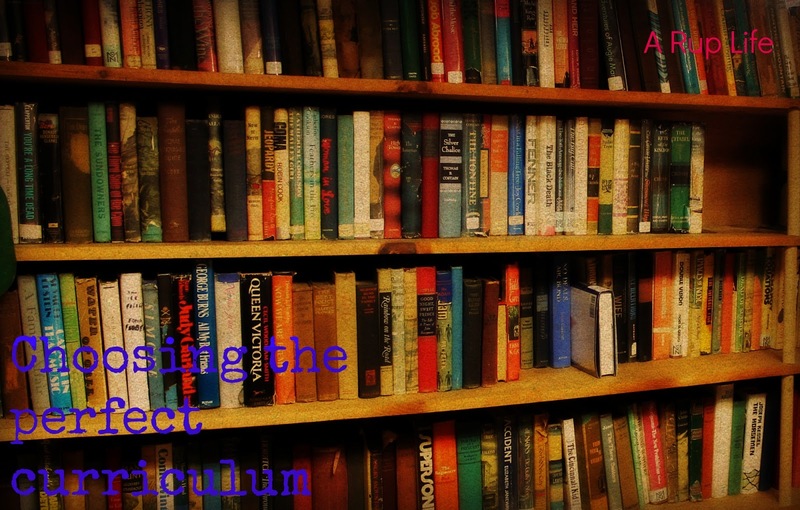 Choosing the perfect curriculum is easy! See there is one thing you need to know. There is NO perfect curriculum! I know you wanted real advice but I'm telling you it is the truth. You will have to wade through the waters a bit to find what works for you, your child and lifestyle. I do have some tips though! Ask friends what they are using! See what they love about it and what they dislike. Keep in mind your lifestyle. If you are a book lover and your child loves to devour books a curriculum that is literature based might be perfect. If your not - well than skip that and find something else! What worked for your friend's kid, your oldest, your Aunt's cousin's sister's genius child might not be the best fit for your child. Find what their learning style is and choose something that will mesh well. If it is broke fix it! Don't waste a year of your life pushing through something that is truly awful for your family! Sell it on Ebay or a homeschool sale group and MOVE ON! Be prepared to spend a little money. You are investing in your child's education. While there are great resources for FREE - remember the saying - YOU GET WHAT YOU PAY FOR! There are some areas where a curriculum is a true blessing and you should invest. Keep a list of things you like in for future reference! Pinterest is great for this because you can easily create a board to organize all your future wants. I hope this little list helps bless your family! I also want to add - SHOP around when you figure out what you want. Christianbook.com has sales almost every month on different homeschool companies products. I bought my science in April when it was 30% off. That was worth the savings of having it 6 months before I needed it. Amazon has a lot of great deals as well and then there are resale/ebay pages. This post contains a affiliate link.